December 13th is recognized as the birthday of the National Guard. A historic military organization that began in 1636 as a Massachusetts colonial regiment, it is now the oldest constituent of the U.S. Armed Forces. You could say that it’s the grandfather of citizen-soldier reserve components such as the Air National Guard and Air Force Reserve. The book details the testing facility’s inception, workforce challenges, leadership changes, and milestones. Over the years, AATC has endeavored to use new and old tech approaches to produce combat capability improvements. The mettle of a modernized mission-ready fleet is tested at this highly functional proving ground. Author David P. Anderson writes of AATC’s extensive history: “It illustrates the true spirit of innovation that helped it acquire and sustain operation relevance to the Air Force.” When you read the book, you begin to appreciate how the facility represents more than just testing and technology. Several chapters touch upon the many years it took for AATC to cultivate its strengths and overcome the limitations of bureaucracy. While there are many holidays during the course of the year honoring our brave men and women in uniform, we sometimes don’t need a special day to say “thank-you” for all they do for our country. 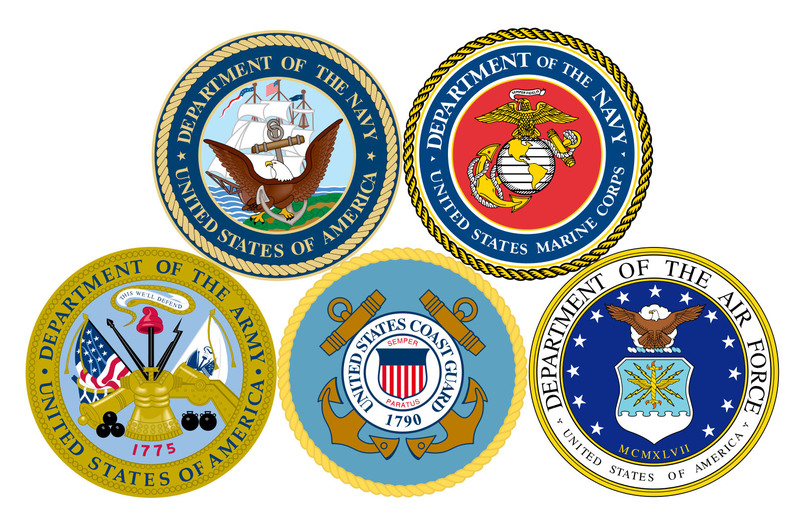 To help celebrate the accomplishments of the armed forces, the U.S. Government Publishing Office (GPO) offers a wide variety of publications and resources on our nation’s military. In GPO’s Federal Digital System (FDsys), you can find a variety of documents related to the military. For example, the official record of President Obama’s authentication of Military Spouse Appreciation Day for May 8th is available, and you can read the President’s remarks on military members and their families. There is also a proclamation by President Obama entitled Armed Forces Day, 2015, where he thanks our military service members for their dedication to the United States and establishes May 16th as Armed Forces Day. Another document of interest is the Congressional Hearing regarding providing support for Veterans. The hearing, “From Military Service to Small Business Owners: Supporting America’s Veteran Entrepreneurs,” centers around giving veterans more opportunity and training in terms of running a business. By searching “Armed Forces Day” in FDsys, you can look at the various proclamations made by past Presidents, as well as any other related documents. Using GPO’s Catalog of U.S. Government Publications (CGP) you can access many military-related documents and publications. For example, a paper from the National Defense University titled “China Moves Out: Stepping Stones toward a new Maritime Strategy,” details the evolving tactics employed by the Chinese in their naval defense of their territory. For the techies, you might enjoy the free eBook, “Army Support of Military Cyberspace Operations: Joint Contexts and Global Escalation Implications.” Another piece of interest is called “New Realities: Energy Security in the 2010s and Implications for the U.S. Military.” This document from the U.S. Army War College focuses on the evolution of energy markets throughout the world and how the U.S. armed forces would likely respond. Search the CGP for other military-related documents and publications. Military Review – An Army-written bimonthly publication focusing on the ever-changing tactics of land warfare. Special Warfare – Aims to discuss various special-operations forces strategies, doctrine, and more (released by the United States Army John F. Kennedy Special Warfare Center and School, Fort Bragg). Citizen Airman – Revolves around the various news and articles published by the Air Force Reserves for commercial media. Joint Force Quarterly: A Professional Military Journal – Designed for national security professionals in and out of the U.S. Government to promote understanding of the integrated employment of land, sea, air, pace, and special operations forces. Approach: The Navy & Marine Corps Aviation Safety Magazine – Contains stories, editorials, and accurate information currently available on the subject of aviation accident prevention and safety practices. While you relax poolside or next to the grill this summer, stay connected with GPO, and stay connected with the country. About the author: Giovanni Salvatori is a Summer Intern in GPO’s Library Services & Content Management office.